Splunk, a fan favorite platform for operational intelligence, transforms machine-generated data into valuable insights that can help make your business more productive, profitable, and secure. 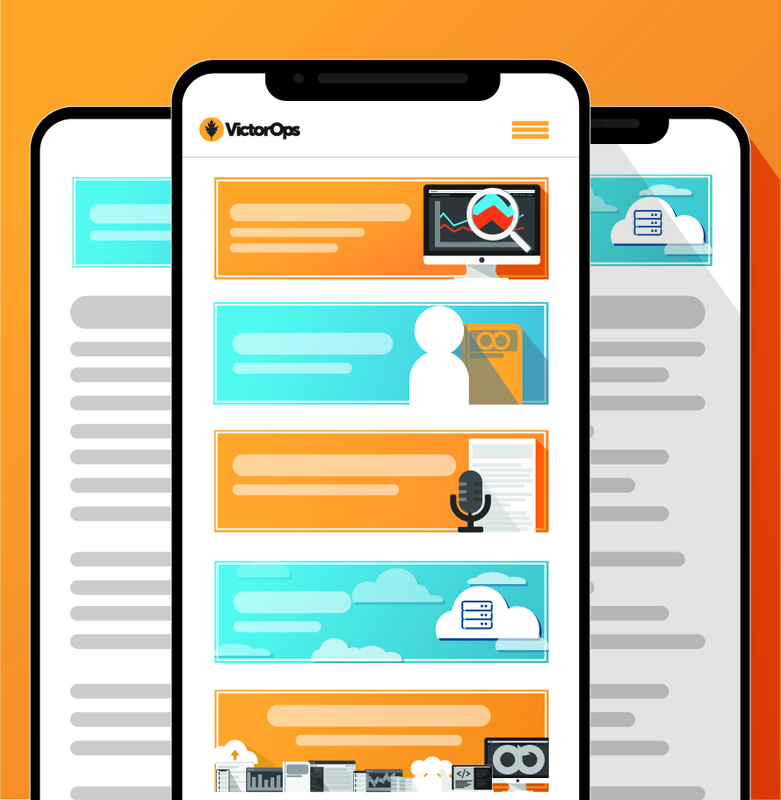 We are excited to announce the new and improved VictorOps For Splunk application, available in the Splunkbase. 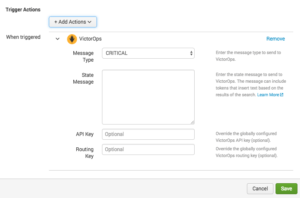 It allows you to add VictorOps as a custom “Alert Action” in Splunk, and provides you the flexibility to get the right information to all of your teams. 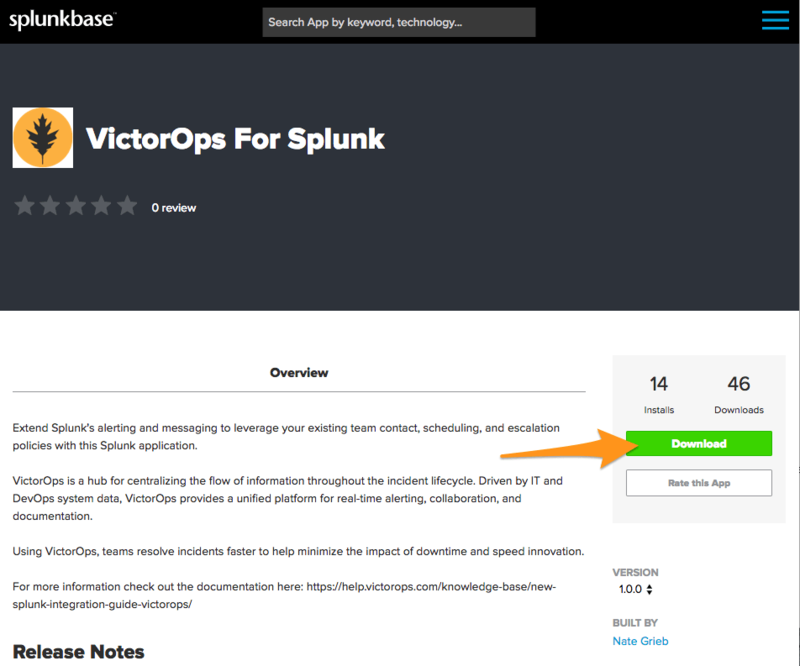 Having the new VictorOps app available in the Splunkbase makes the installation a breeze. Simply download the app and upload it to your Splunk instance. All configuration is now performed within the Splunk UI; no need to configure any scripts or touch the command line. We have added more flexibility when creating individual alerts. 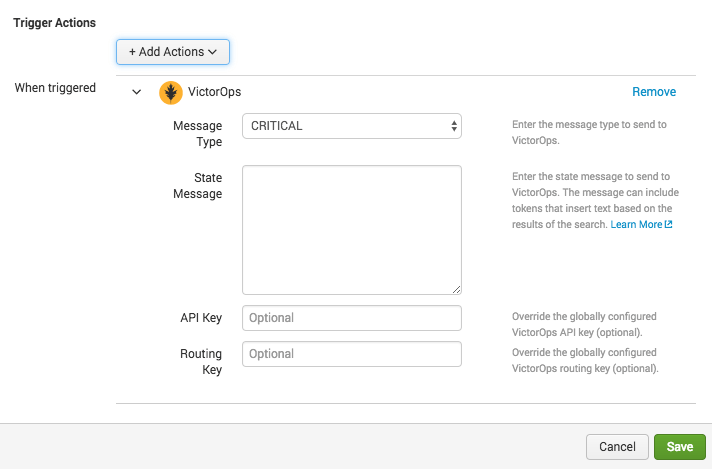 You can now adjust the severity so you are not alerted for information messages, construct a custom message for each alert making use of dynamic Splunk Tokens and have the option to override the global routing rules or API key so the alert gets to the right people every time. 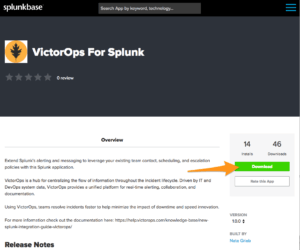 For comprehensive information about how to configure the integration, visit our Splunk Integration instructions in the VictorOps Knowledge Base. If you enjoy the integration, please be the first to give us a five star review in the Splunkbase. Thanks!